Hi there! 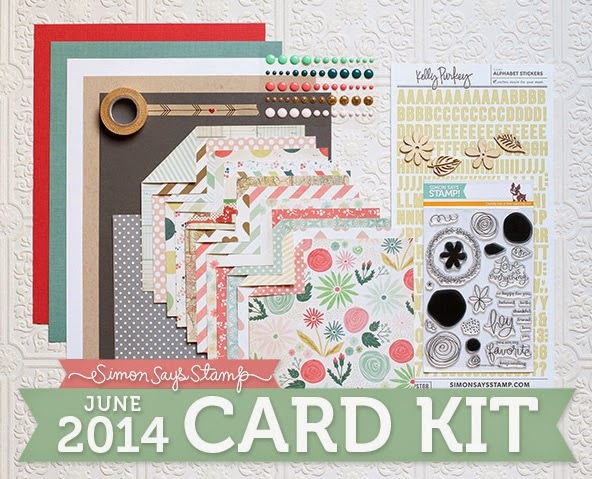 I am here with today's new Retro Sketch, using the Simon Says Stamp June Card Kit. I layered up the papers from the kit and then added in a piece of vellum. 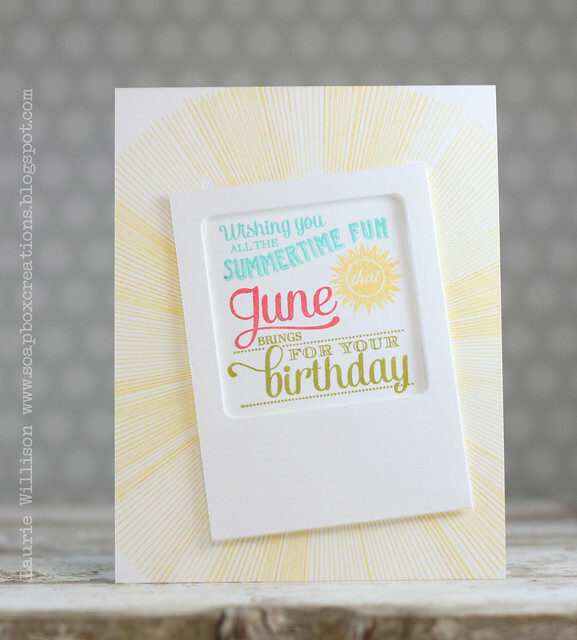 The adorable alphabet stickers that are included are such a fun shade of yellow and match all the papers included in the kit, so well. There is an awesome pack of enamel dots too, so I added some of those in. I wanted the vellum to lift of the page a little, so I attached it using only 2 staples at the top. 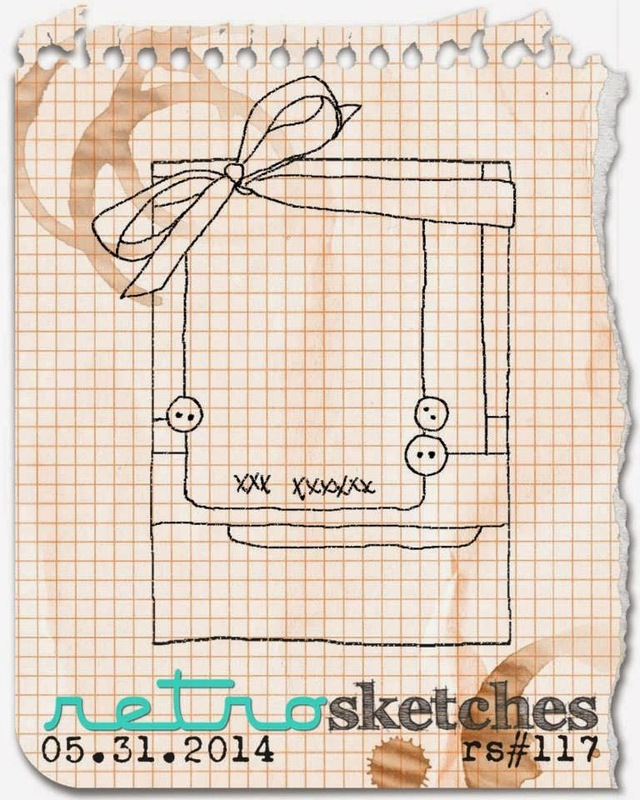 Stop over to the Retro Sketches blog to see the details and what the other DT girls have in store! Thanks so much for coming by today! Have a wonderful weekend! 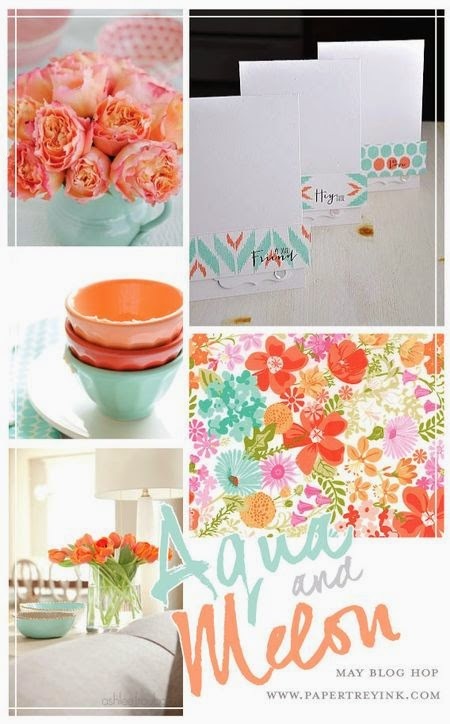 I've been seeing some amazing blog hop cards today using the most gorgeous colors....and I couldn't help myself! I had to play too! I used 2 new sets from this months release, Oopsie Daisy and Wet Paint III. 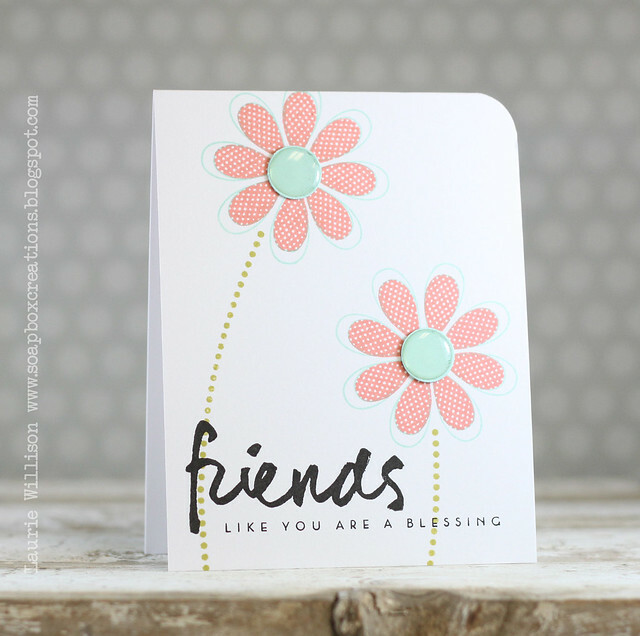 I stamped the flower outline in Aqua Mist and the inside polka petals in Melon Berry. The stems are stamped in Simply Chartreuse and the sentiment in Versafine Black Onyx. I used a little 1/2" hole punch to cut the centers and then added in these little clear dots I have had for a million years. I knew keeping them around was a good thing! 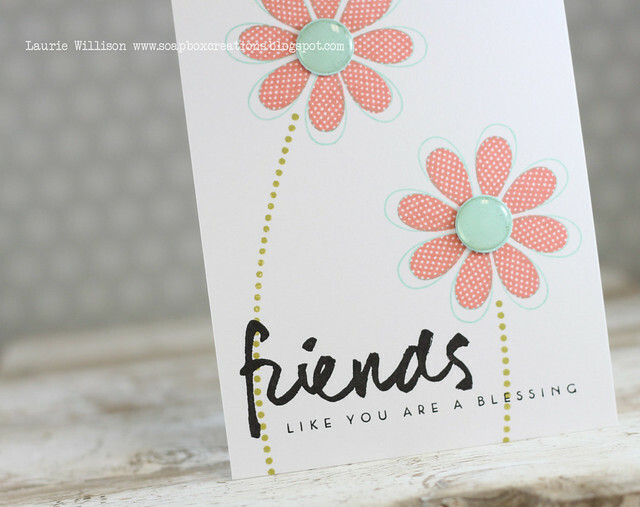 I attached them to the card front with a glue dot. 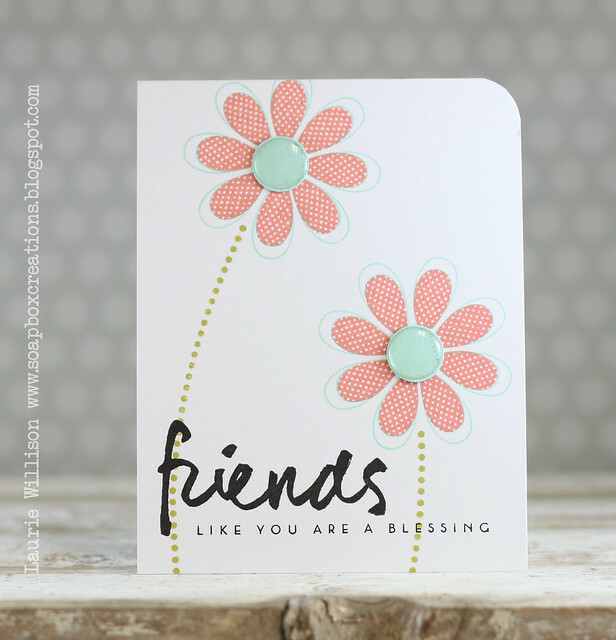 Click HERE to see the full list over at Nichole's blog. I am off to hop some more! Hope you are having a great Sunday! Thanks for stopping in! 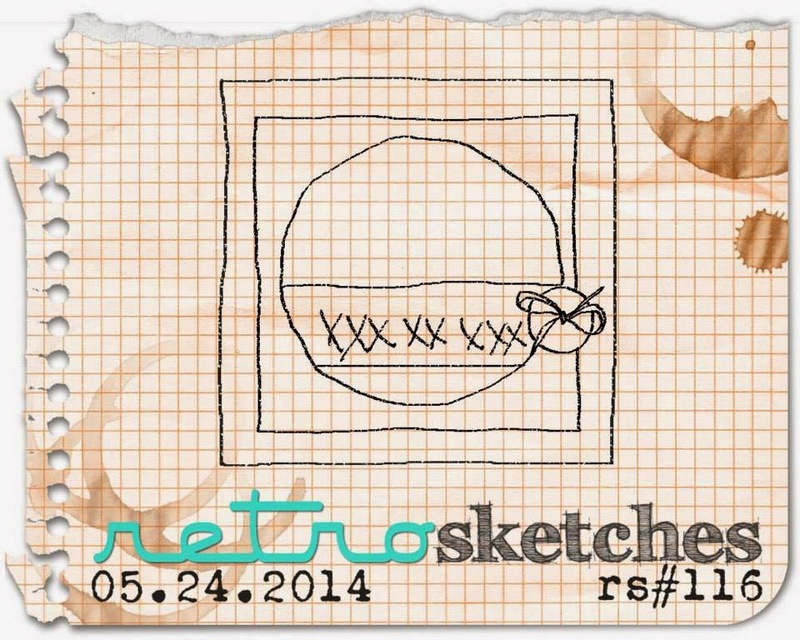 Stop over to the Retro Sketches blog to see what the other girls have whipped up for today. I am off to a golf tournament today. The NCAA College Finals are being held here and we have to check it out. Hope you have a great weekend! Thanks for stopping in! I'm back with another card for the May release over at PTI. 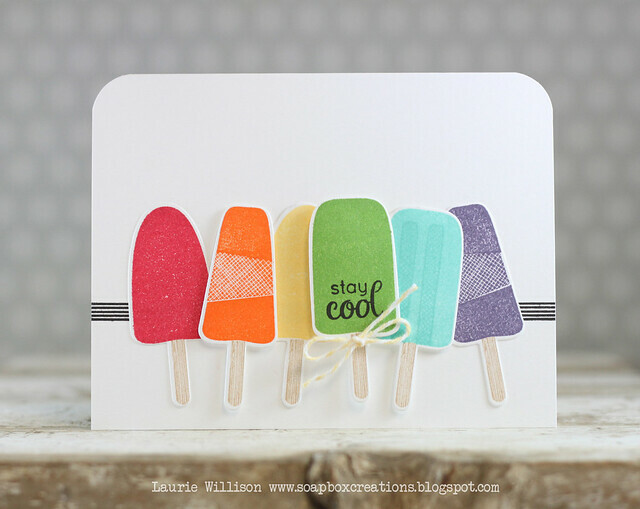 This new popsicle set is SO cute! It's called Summer Sweetness and it's so sweet isn't it? 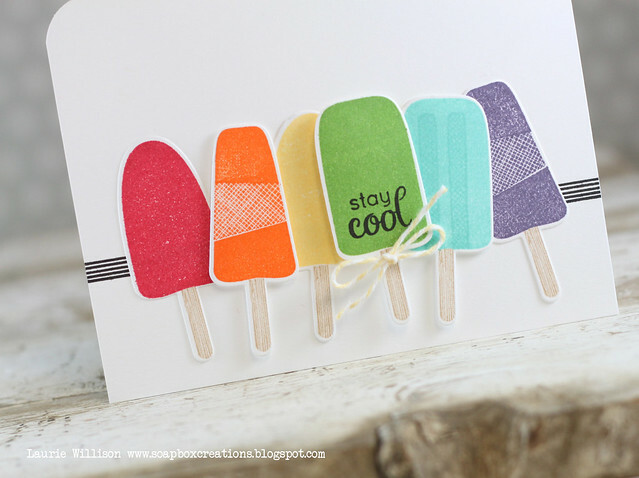 I die cut and stamped 6 popsicles and then added a sentiment and bow to the green one. I felt like they needed to be grounded, so I added in a striped line in the background using Background Basics: Super Stripes. It's already warm here in Kansas, so we go through plenty of popsicles here at my house. Looks like its going to be a hot summer. Since we ended school early, we are now full swing into Band camp, Tennis camp, Soccer camp and tball and softball. Yikes....typing that list of stuff out makes it a little more scary. But we are having fun so far. We have lots of summer left to find stuff to do. Hope you are all doing well. Thanks for stoping in! I masked off and stamped the sentiment, first in Hawaiian Shores, the sun in Harvest Gold, June in Berry Sorbet and the rest in Simply Chartreuse. 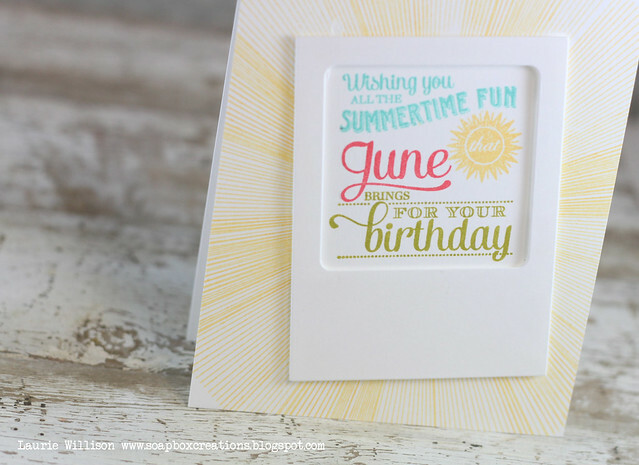 I stamped it directly on the card base but then masked on top of that and stamped the sun rays from Hello Sunshine. I wanted there to be some variation of color so I went back in and stamped on top of the rays with another layer of color. Hope you are having a great week! Thanks for stopping in! 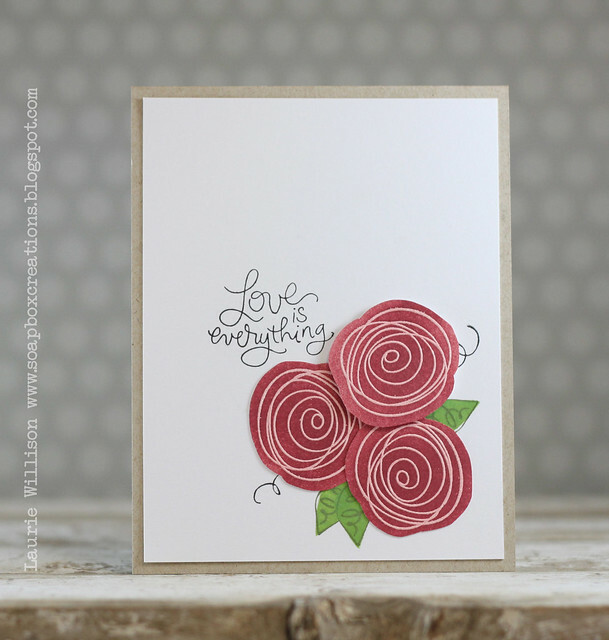 I heat embossed the scribbles and then took a blending tool with some Schoolhouse Red ink and added in the color. 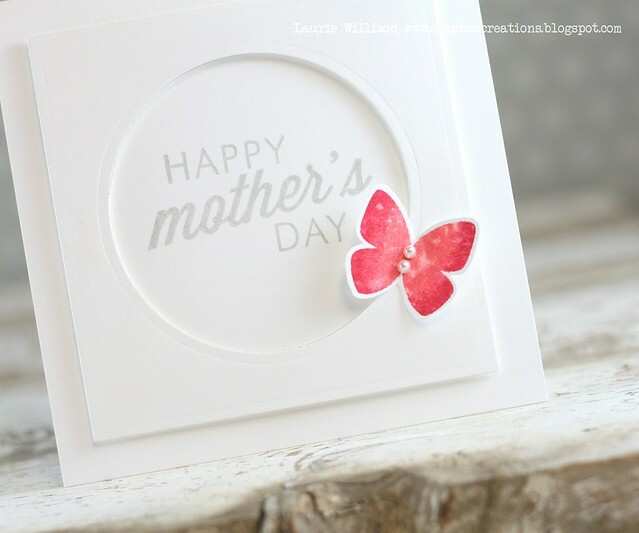 I cut them out by hand and then layered them up with the leaves that are stamped right on the card front. 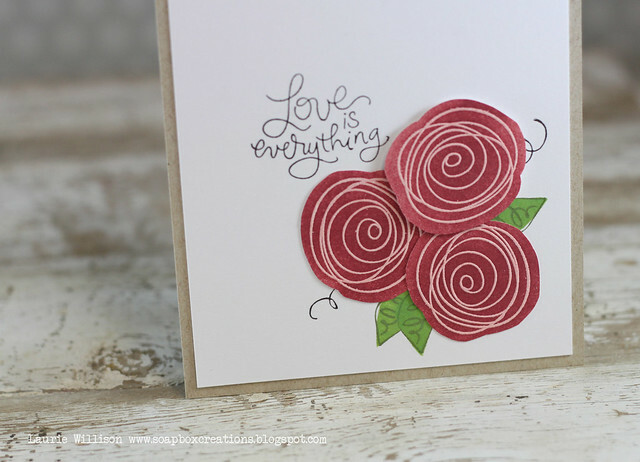 I stamped the sentiment and the little curly's in Versamark black onyx. 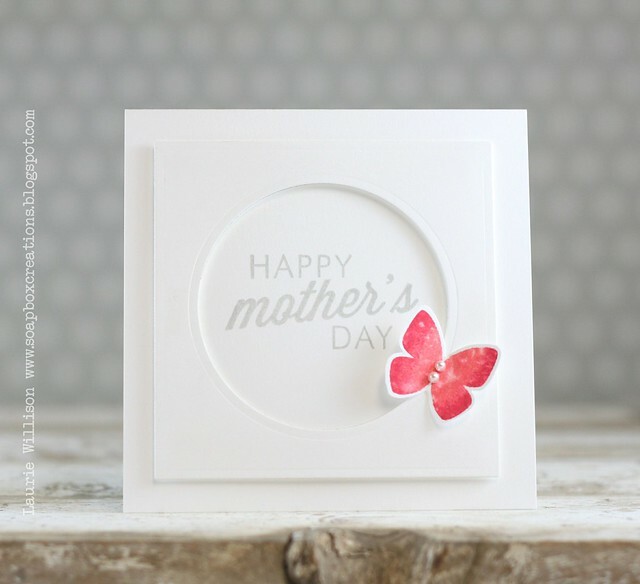 I completed the card by layering it all on a kraft base.